I've been downloading full size artwork with the MWS Picture Assistant and adding to my MTG Studio Card Art collection. Unfortunately, the downscaling in MTG renders the medium and small size images quite poorly, particularly the text is difficult to read. 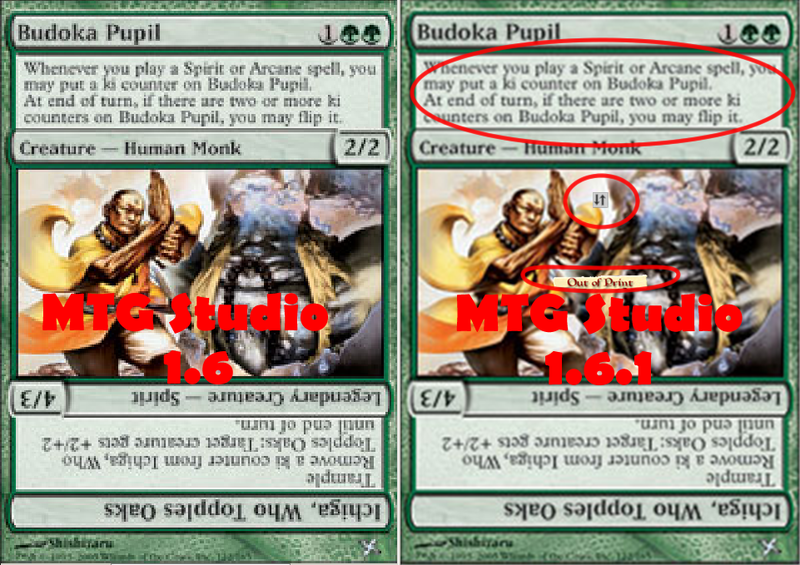 A quick test in photoshop shows that scaling from the full image to the smaller size results in very good images with very readable text... Of course, I'm not sure which scaling algorithm is being used in MTG Studio, but could you see if there's any way of improving the scaling to work well with the full images stored under Card Art? Use bi-cubic SHARP - this is better for reductions. MTG Studio 1.6.1 will support bicubic scaling. 6. Add Out of Print label for cards which officially will not be printed any more. The sample below is from an 200x285 image resized as 480x680. Excellent work! Can't wait to test it out!